A cute little cafe in the heart of the gay village, De Farine et d’Eau Fraiche, will charm you the moment you step in the door. 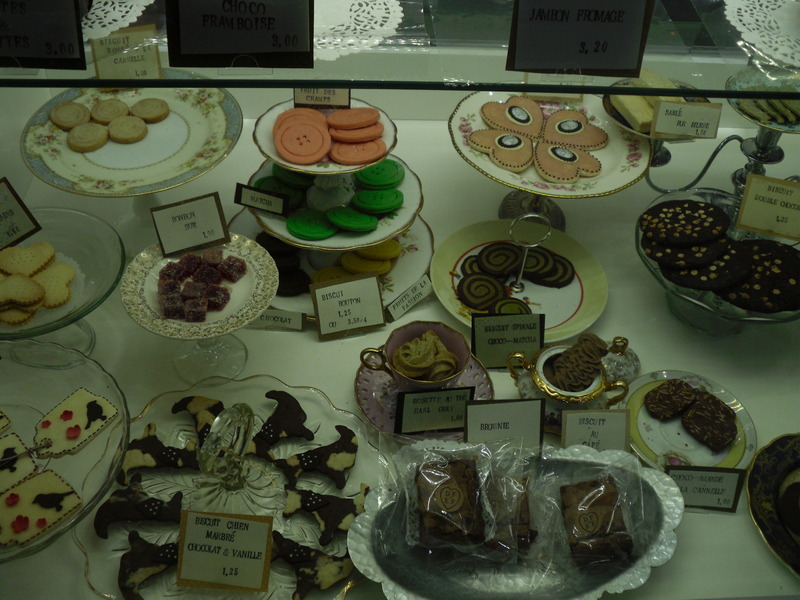 Linger in front of the glass display, like a kid in a candy store, it’s hard to choose just one dessert. Which is fine, since many of the pastries or cookies are miniatures. My brother introduced me to this new hot-spot last summer and I was immediately smitten. It has the feel of a Victorian doll house, yet is still down-to-earth and rustic. Engraved in the weather-beaten wooden tables are the initials: DF+EF inside a heart. And they aren’t lying: you can’t help but love ’em! Delicious paninis for a great price for lunch, then the desserts that enchant you with their cuteness. But the adorable look doesn’t mean they skimped on the taste. In the display case, a half-dozen little cakes, hand-made flavoured caramels, truffles and an array of delicate colourful cookies with sprinkles of sugar. Tiny intricate details like thier trademark cookie luggage tag with a ribbon are hard to resist. Everything tastes as good as it looks. 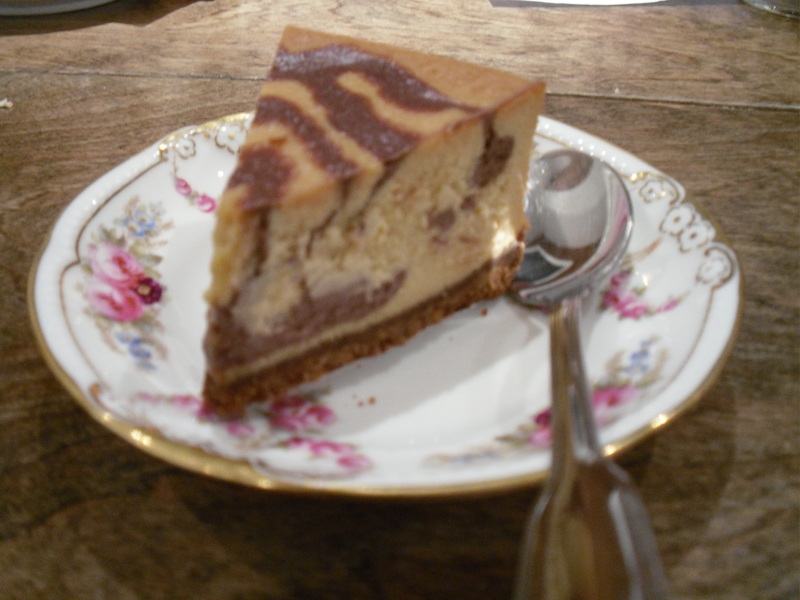 This time around I went with the cake of the moment: chocolate caramel cheese cake. Should have been called caramel-chocolate cheese cake instead – because you really have to love caramel to love it. Luckily I do. Organic coffee or teas to accompany the desserts are yet another reason to try a second cookie. Or a third. In the summer the ice mocka is nearly a dessert in itself. With winter coming, the hot chocolate is nearly as delectable. It’s worth the trip just to admire the display of tiny wedding cakes: miniature masterpieces. Intricate details Too cute to eat. Open for breakfast and lunch or perfect for high tea in the afternoon, De Farine + d’Eau Fraiche is a good place to stop for dessert lovers. ← The internet – future of the rave?